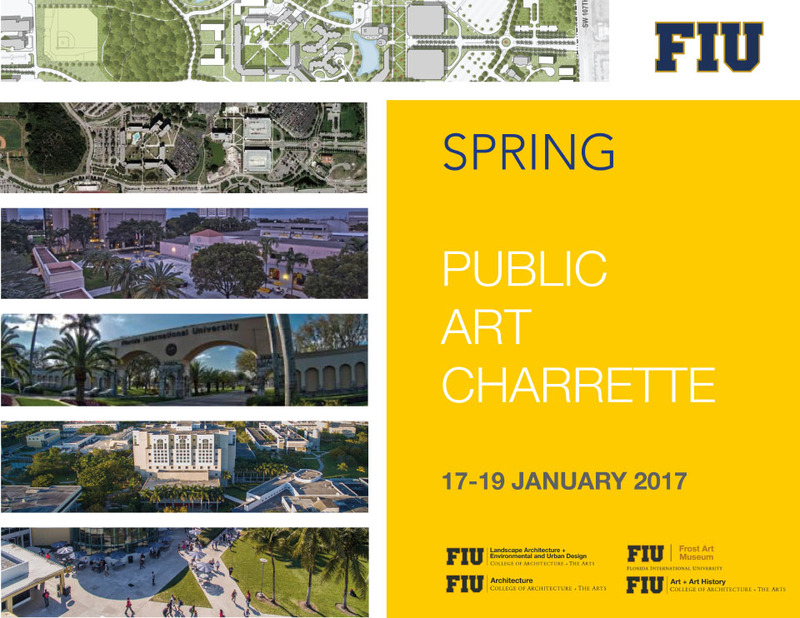 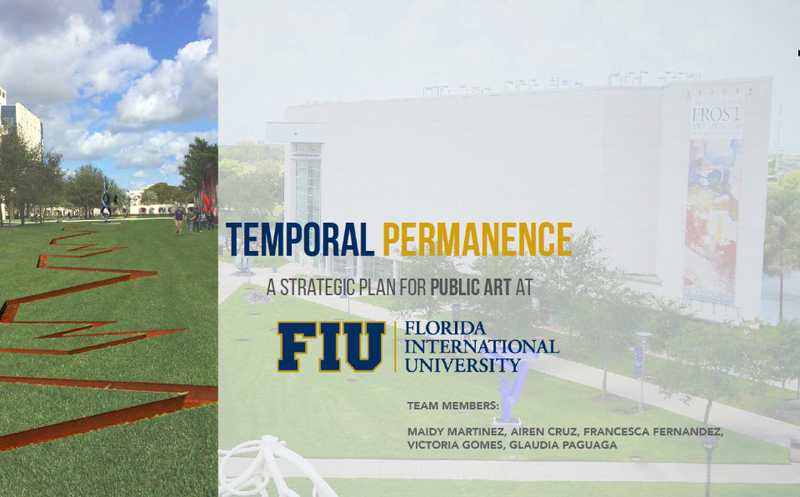 Over the course of three days from 17-19 January 2017, students and faculty from the College of Communication, Architecture + the Arts’ departments of Landscape Architecture + Environmental and Urban Design, Art & Art History, and Architecture, as well as staff from the Frost Art Museum and FIU’s Public Art Advisory Task Force participated in lectures, workshops, site visits, and hand-on interdisciplinary activities as part of the Spring 2017 FIU Public Art Charrette. 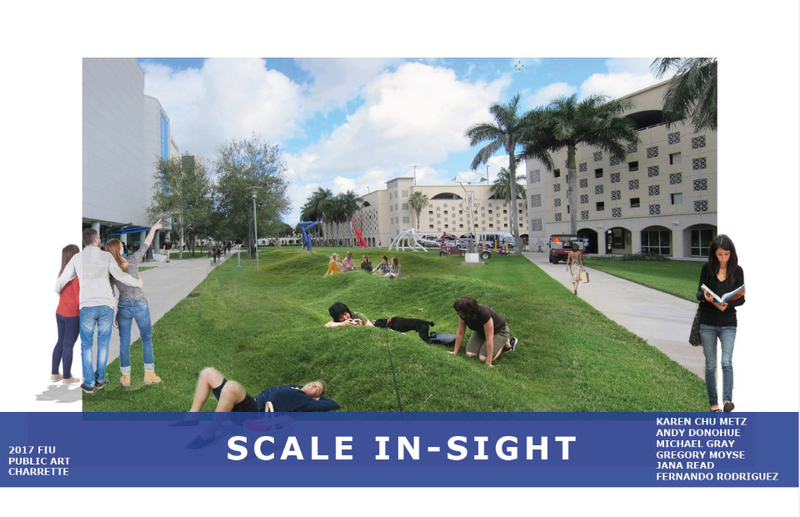 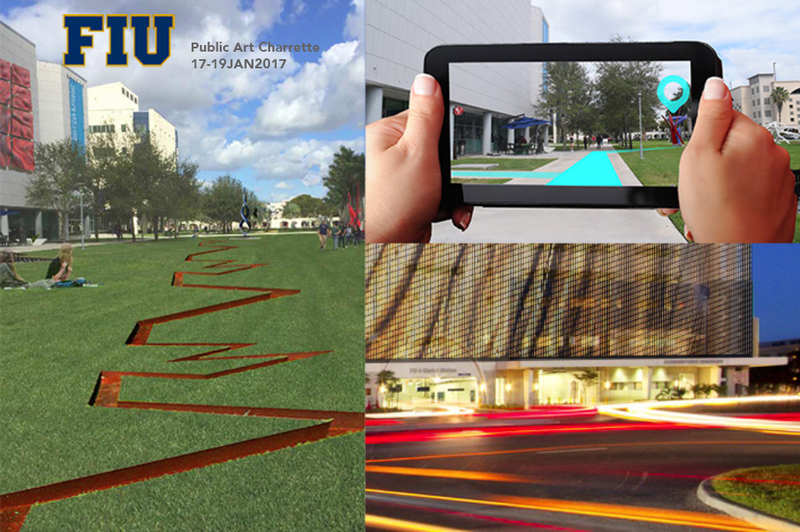 The charrette was designed and run by Landscape Architecture + Environmental and Urban Design Associate Professor Roberto Rovira and Architecture Associate Professor David Rifkind and was funded by Dennis Scholl, FIU Alumnus and Chair of the FIU Public Art Advisory Task Force. 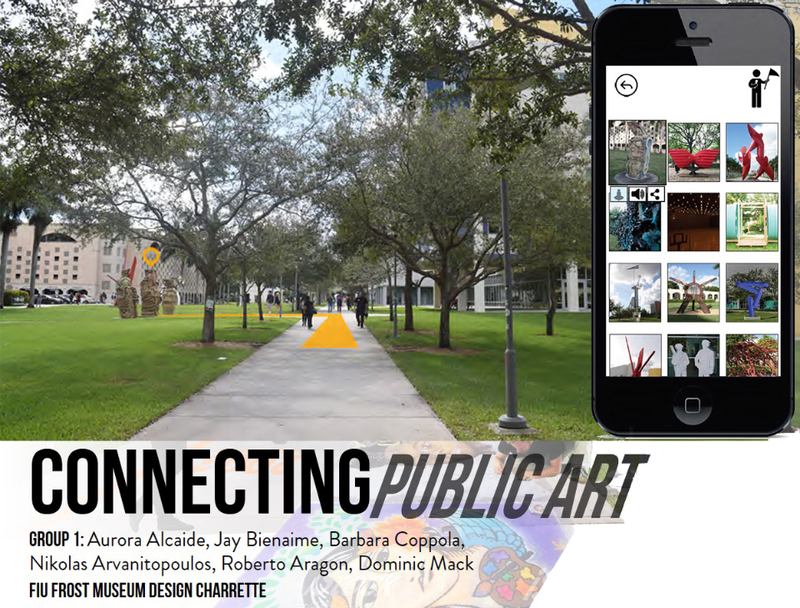 Charrette guests and jury included artists Robert Chambers, Jacek Kolasinski, Cathy Byrd, Randy Burman, and Manita Brug.